Solution Saddles Customer Stories: Vicky Bloomfield and her horse are happy, comfortable and relaxed in their new SMART Eventer saddle. 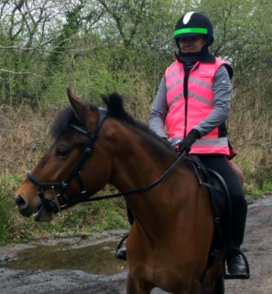 Vicky Bloomfield and her horse are happy, comfortable and relaxed in their new SMART Eventer saddle. I couldn't be happier with the new SMART Eventer saddle. My gelding is so relaxed and going beautifully in it, he has a noticeably longer stride trotting, now his shoulders are not restricted. I am so comfortable too, after years of discomfort in the wrong saddles. I look forward to riding everyday now, it's a pleasure.